Nothing says Texan like a Stetson, right? Well interestingly the invention of the iconic cowboy hat has nothing to do with Texas. In the 1860’s John B.Stetson traveled west for cleaner air after being diagnosed with tuberculosis. At some point during his travels he created a wide-brimmed hat designed to protect prospectors and cowboys from the harsh western sun. Eventually he realized that he might be able to turn a larger profit on his new hat design back east, so he made his way to Pennsylvania and began producing his “boss of the plains” hat in Philadelphia in 1865. Stetson hats quickly became popular across the country, however in Texas many cowboys and local sheriffs continued to wear Mexican sombreros, which had been traditionally worn in the state since Spanish rule and which provided better sun protection than even the Stetsons. 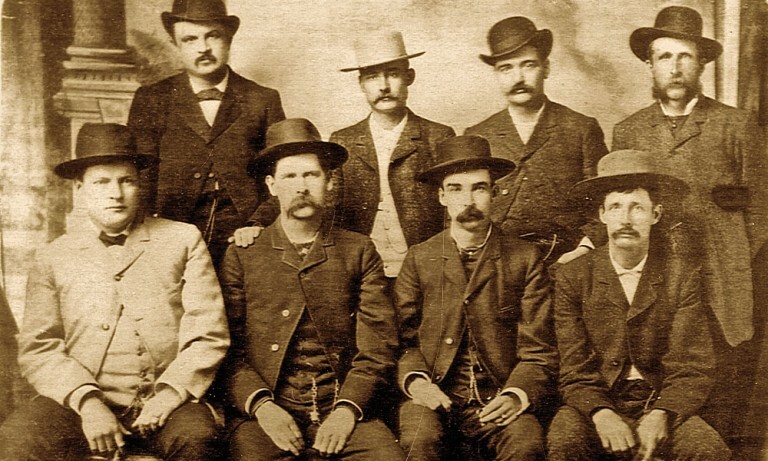 The Dodge City Peace Commission, some wearing a Boss of the Plains , 1883. Source: Wikimedia Commons. The original cowboy hat, the Stetson “Boss of the Plains” model, was a rather conservatively sized hat. It featured a four inch tall, round-topped crown and a medium-sized four inch brim. 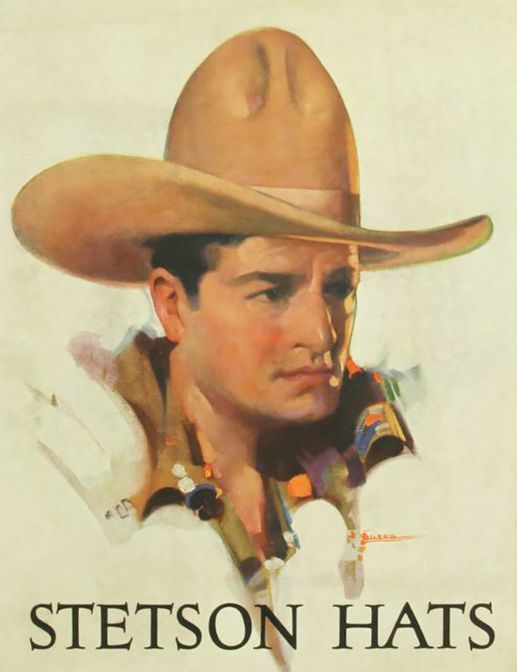 The huge ten gallon hats we associate with cowboys today have their roots in Hollywood. The Hollywood ten gallons were inspired by Mexican Sombreros. 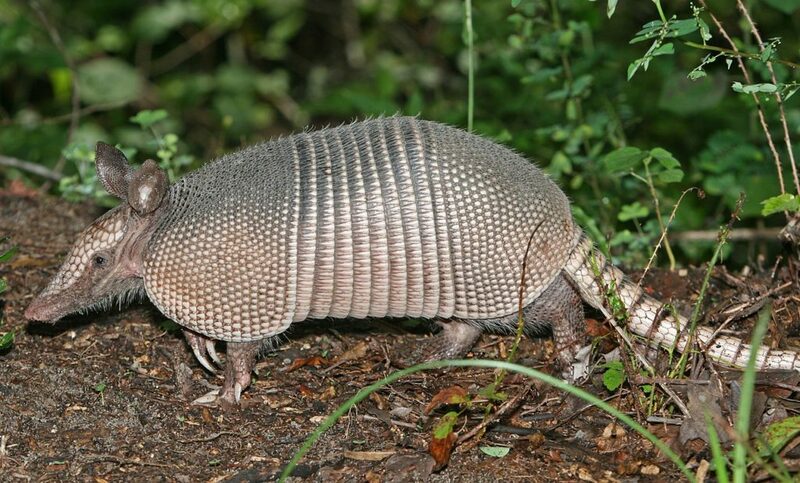 Texas’ state mammal has rolled its way into the hearts of millions of Texans, but what if I told you armadillos were from south of the border? Armadillos are from the same family (superorder Xenarthra, ) as anteaters and sloths. Like their relatives, armadillos evolved in South America, which was cut off from North America until the Isthmus of Panama emerged around 2.7 million years ago due to a combination of continental drift and falling sea levels. This event kicked off the Great American Interchange, during which many species began to colonize their neighboring continent. 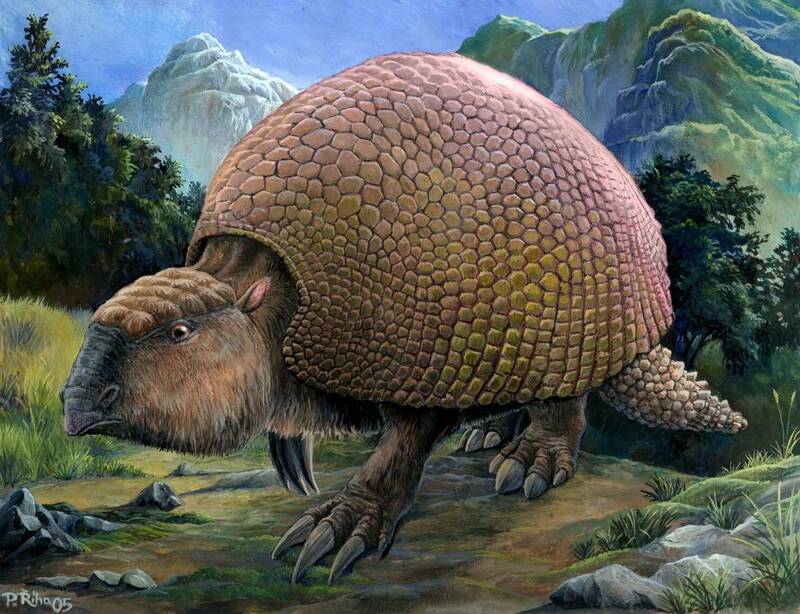 Artist’s conception of a Gleyptodon, an ancient species of giant armadillo. Artist: Pavel.Riha.CB. Source: Wikimedia Commons. During this period Armadillos and Sloths migrated North. But these weren’t the adorable little guys we see today. Some species of ancient sloth grew up to 20 feet tall, and some armadillo relatives grew to the size of Volkswagen Beetles! Unfortunately, due to climate change at the end of the last Ice Age all giant sloths died off in North America and the larger armadillos did as well. Now all we have are the little cuties we prize as our state animal. The point of all of this is that out of all the cool creatures that evolved in North America we chose armadillos as our state animal. You could say armadillos are an inspiring story of an immigrant who found success in the U.S.
Monument Valley, Apache scout. Author: Peter K Burian. It seems like every classic western movie that takes place in Texas features Monument Valley as a location at some point during it plot. 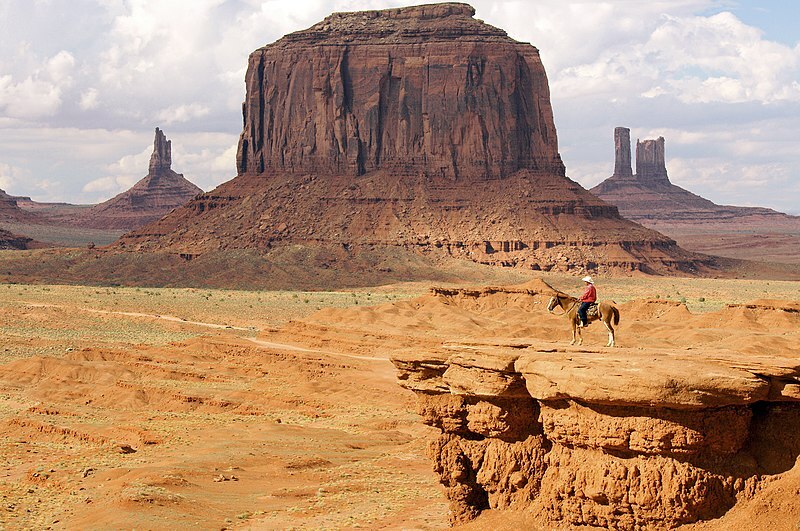 Since John Ford shot Stagecoach, the movie that made John Wayne a star, there in 1938 Monument Valley has been featured in more than a dozen movies (six of which were also directed by Ford). Since many of these films are supposed to take place in Texas, many non-Texans have come to believe that the Lone State State is one vast expanse of desert populated by unearthly rock formations. Fortunately for us Texans, our state is not a vast desert. 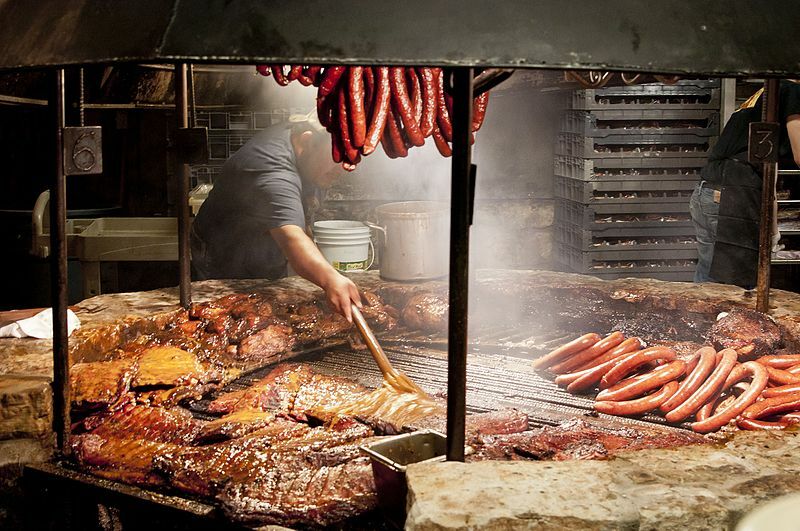 Try as they might, other states (yeah you South Carolina) can’t match Texas’ reputation for great barbeque. Even the Austin weirdos are lining up to taste the good stuff at renowned venues like Franklin Barbecue. But despite our state’s close association with delicious smoked meat, it was actually native Caribbean societies who invented the method of smoking meats on grills over a fire. 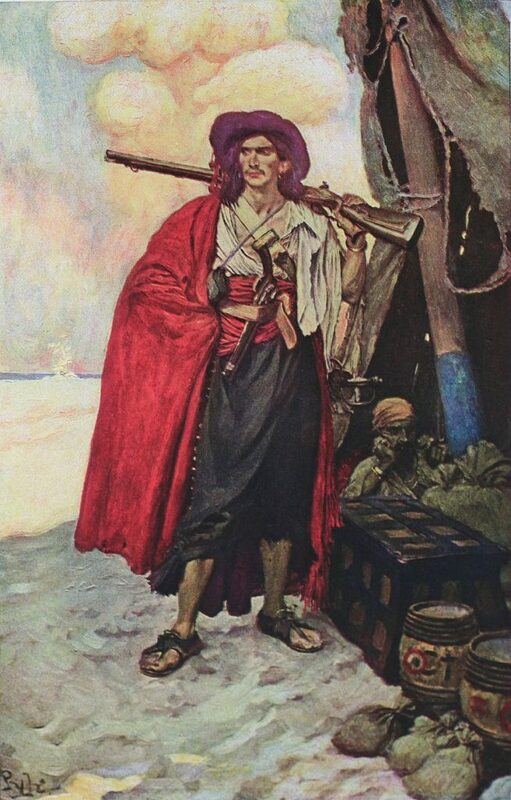 “Buccaneer of the Caribbean” from Howard Pyle‘s Book of Pirates, 1905. Source: Wikimedia Commons. The method was later adopted by pirates hiding out on Caribbean islands during the colonial era. Interestingly, the word “Buccaneer” comes from the French word “boucanier” which means “curer of wild meats”. So the origins of barbecue have more to do with pirates than cowboys! Vaquero, c. 1830. Source: Wikimedia Commons. Cowboys are intimately associated with Texas, and rightly so. It was during the era of the Texas cattle drives spanning the 1870’s and 1880’s that cowboys first became heroes of American folklore. The exploits of drovers like Goodnight and Loving, whose story inspired the plot of Lonesome Dove, sparked the imagination of countless youngsters back east. But the origins of this iconic American character lie in the Spanish Hacienda system, which dates back more than 500 years. Haciendas are large estates on which a variety of profit making enterprises are carried out depending on the local conditions. Like the American Southwest, much of Spain is arid, and thus not good for much else than raising cattle. Livestock would forage for meager amounts of grass over vast properties. Someone had to control these herds and round them up on occasion, that job fell on the Vaquero. The Hacienda system spread to the Americas during the Spanish conquest and eventually to the far Northern Frontier of Spanish territory in present day New Mexico and Texas. Everything we associate with cowboys has its roots in Vaquero tradition, from the big hats to the lassos, boots and spurs. A Charreada in progress with a charro attempting to catch a loose horse. Author: Marrovi. This will probably be the last thing I write before being run out of town by angry Houstonians. But the truth must be known! 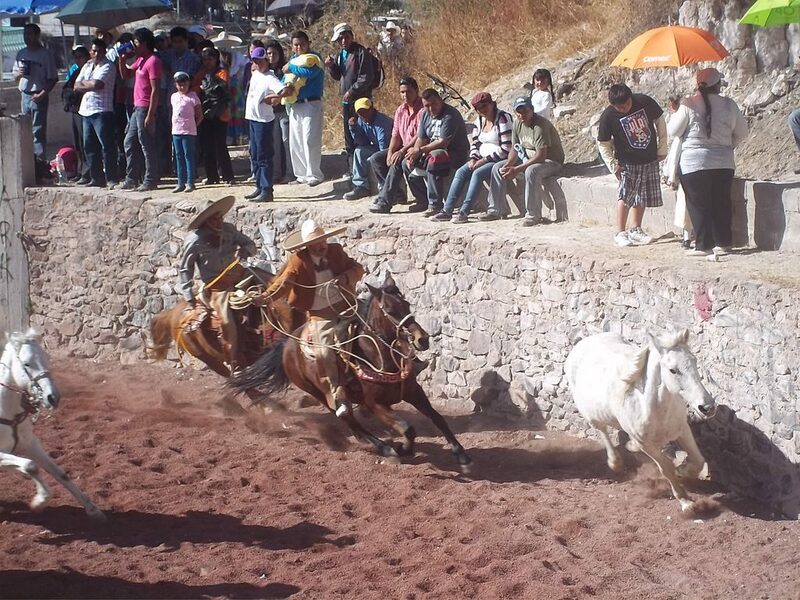 Rodeos have their origins in Mexican Vaquero traditions. This should come as no surprise since “rodeo” is derived from the Spanish word “rodear” meaning “to go around”, referring to corrals. Rodeos have their origins in Mexican Charreadas which in turn have their origins in Spanish vaquero culture. Interestingly, bull wrestling and riding may date back as far as the ancient Greek Olympics. But it is through the charreadas that these sports were introduced to the Americas. The name charreada is derived from the word charro, which is essentially a poor cowboy. 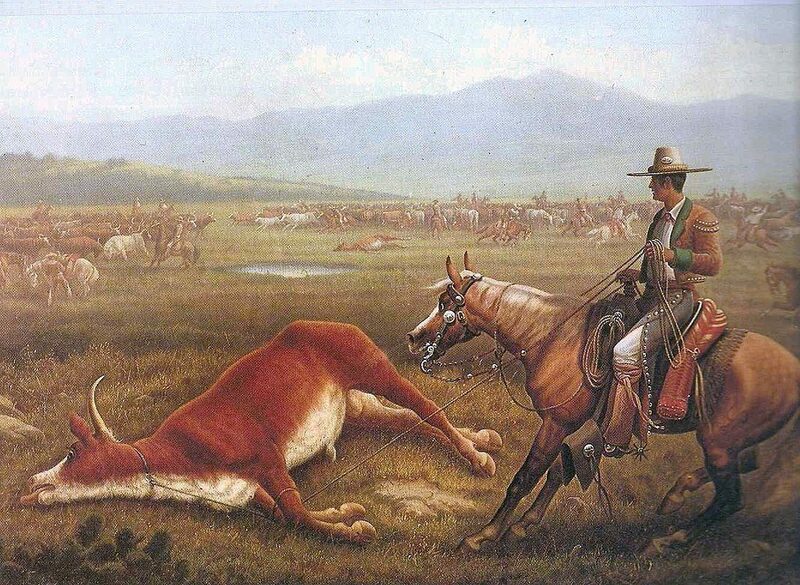 Vaqueros were considered higher class than charros. I hope you’ve enjoyed this grand revelation of Texas’ identity crisis. To be fair, Texas has a lot to be proud of. Who needs hats and smoked meat when you have amazing native animals like the ones on display in our Farish Hall of Texas Wildlife. And yes, even armadillos are included. I think after two million years of being here they deserve to be counted as natives. Come see us while you’re in town for the rodeo! Barbecue And Bored Scotsmen: Why Pirates Say Arrrrr. Previous Post Out Of Left Field: Are You Really Right Handed?